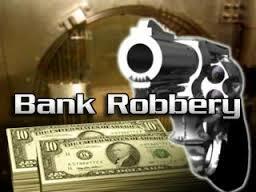 Up to four suspects failed in their attempt to rob a bank in Stockton this afternoon. Just before 2 p.m., in an attempt to get past a controlled-entry door, three suspects who arrived at the bank in a white Cadillac attempted to rush the access at the Rabobank located at 1889 West March Lane. One of the suspects was armed with a handgun. The suspects held onto the female security guard and had her bang on the door in an attempt to have the business open the door. When the door wasn’t opened, the suspects fled in the Cadillac which was located abandoned a few blocks away. A witness stated the four suspects got out of the Cadillac and into a white Nissan or Infiniti and fled North on Grouse Run towards Quail Lakes. The suspects were described as black males in their 20’s, wearing black hooded sweatshirts, one suspect was armed with a semi-auto handgun, and one suspect had shoulder length dread-locks. No Comment to " Attempted Bank Robbery in Stockton Fails, Suspects Flee "